My side of photo project with my friend Ross.. 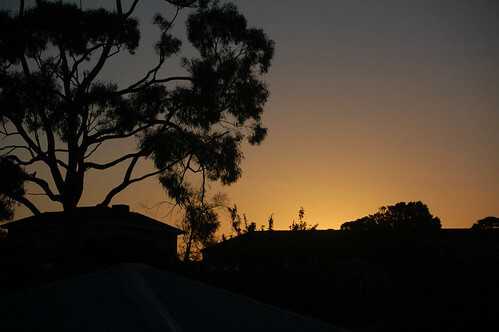 Suburban Silhouettes - A view from my balcony across the rooftops...it's the time of year in Melbourne for awesome sunsets. Both our photos side by side...awesome Halloween decorations on Brooklyn brownstone steps from Ross.